It’s a simple fact: Maine needs to grow our solar energy industry to create good paying jobs and reduce electricity prices. I have promoted passive solar and SEE (Super Energy Efficient) housing in Maine for the past 38 years. Finally, solar electric has arrived as a tool that can economically enable the building of environmentally necessary Net Zero housing, which on an annual basis, produces as much energy as it uses. It’s time to change our old ways of doing business. Over the last ten years, the price of transmitting and distributing power has increased by 80 percent in Maine. Driving those rising costs are new and expensive transmission lines that promise a good return on investment to utility companies; while increasing electricity rates means customers pay more to satisfy their electricity needs. It’s a classic win-lose scenario. Solar power offers a viable solution. Making solar power systems more accessible for Maine small businesses and residents helps lower and stabilize energy costs for everyone by reducing the need for new transmission lines. It’s an opportunity to, literally, put the power back into the hands of Mainers. To do this we need sensible legislation to get there. Representative Seth Berry’s bill, “An Act to Protect and Expand Access to Solar Power in Maine,” will supersede the punitive, anti-solar rule just finalized by Maine’s Public Utilities Commission that favors large corporate interests over those of average Mainers. The bill will also restore the state’s solar rebate program, eliminate the cap on participants in solar arrays and allow for third-party ownership of solar projects. Combined, these measures will offer a powerful incentive for solar expansion, while creating technical jobs and delivering a boost to Maine’s economy by making it a more attractive place to do business. In this scenario, everyone wins. I am thankful Windham Representative Patrick Corey understands the benefits solar can bring to Maine and that he voted in support of solar in the last legislative session. I ask that he vote “yes” this session on Berry’s bill. Thanks to Rep. Jessica Fay for putting the people of Maine ahead of ideology. 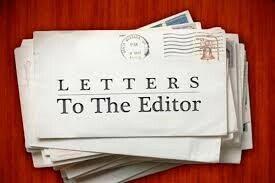 I certainly concur with her observation in her letter last week to The Windham Eagle, that property taxation is the prime issue. For me it's not income taxes, but I'm not a millionaire. I am sure the governor is sincere and believes that his budget as proposed, is best for Mainers, but he is sincerely mistaken. Income taxes have not been a big issue for most of us over the years, it is property taxes that cause rents to jump, and force older folks like me out of our homes. Each drop in municipal revenue sharing and State school funding means another rise in property taxes. And the Circuit Breaker Program used to be helpful, before it was gutted so that now I get a break that’s a fraction of what I used to receive. I'm retired on a fixed income, and the tiny amount of relief Paul LePage recommends for my age group in the Property Fairness Refund is better than nothing; not by much though, and no relief at all, no property tax fairness at all, is his recommendation for the rest of his fellow Mainers? Nothing fair about that. School officials issued an email on March 3, 2017 with attached documents notifying that MEA testing would take place on April 3 to 7, 2017 for students at the Windham Middle School. The purpose of this message is merely to notify parents of Windham Middle School students that they have the option to opt their children out from this specific testing. More importantly, the MEA requires that school systems notify the parents of the ability to opt-out their children from the testing, but the school has chosen to ignore this requirement. Furthermore, I notified school officials on 3/3/17 that they had sufficient time to meet the requirement as outlined by the MEA by simply sending out an email to parents, but nothing has taken place to date. This has prompted me to write this letter, in order to provide notification to parents within the community, so that they can make the decision on what is best for their child and not leave that decision to school officials. My purpose is not to express an opinion on whether the MEA testing is appropriate, but many would find it interesting to note that the MEA does not particularly favor the testing. If you want to learn more, I would suggest visiting the following site: maine.nea.org/home/1643.htm so that you can make an informed decision on whether you want your child to take part in the testing. The impact of the American Health Care Act (AHCA), the so-called alternative to the Affordable Care Act (ACA), will be devastating for older Americans. That the newly proposed “fix” would deprive more than 24 million Americans from health insurance coverage over the course of the next ten years is reason enough to oppose this horrible new bill. However, the fact that the proposal would also allow insurance companies to charge older people five times as much - or more - than they charge younger people, is unconscionable. A 64 year old making $26,500 a year would go from $1,700 to $14,600 in premiums annually. Imagine how this person would then pay for housing, food, heating, and out-of-pocket health care costs. If you are 65+, you will be impacted too. The guaranteed safety net coverage of Medicaid would end, including coverage for those who need long-term care services at home or in a nursing home. This bill does not consider Maine’s large and growing aging population. The bill also discourages at-home care and encourages more costly nursing home care. Even worse, the new proposal would make it harder for older Mainers, who need long-term care, to qualify for Medicaid. As if the negative impacts for older Mainers aren’t bad enough, the bill also provides an additional $200 billion worth of tax breaks to special interest groups, while at the same time doing absolutely nothing to help lower health care or prescription drug costs. This is outrageous - given these tax breaks will impact the solvency of Medicare for you and your loved ones down the road. Please join me in urging every member of Congress to oppose this measure as adamantly as possible. Please urge everyone to vote no - the AHCA must be stopped before it does unnecessary harm to thousands of Mainers and older Americans nationwide.